Work release by order of the court. The non-custodial parent is sent to Elkhart County Community Corrections Work Release and permitted to leave only to go to work. Income tax return intercept. If the amount owed (called an arrearage) is $150-$500, money may be taken from the non-custodial parent's state or federal income tax return. If the non-custodial parent owes money in back taxes, child support needs come second to the government's claim. Credit Bureau report. If the amount owed is more than $1,000, it will be reported to the Credit Bureau. Lien against passport and licenses. If the amount owed is more than $2,000 or payments have not been made for three months, the Child Support Division may issue a lien against the non-custodial parent's passport or against a professional, sporting or driver's license. A lien also may be issued against an automobile or real estate. Pursuit of felony charges. An arrearage of up to $15,000 is considered a Class D felony and may result in a prison sentence of up to three years. An arrearage of $15,000 or more is considered a Class C felony and may result in a prison sentence of up to eight years. 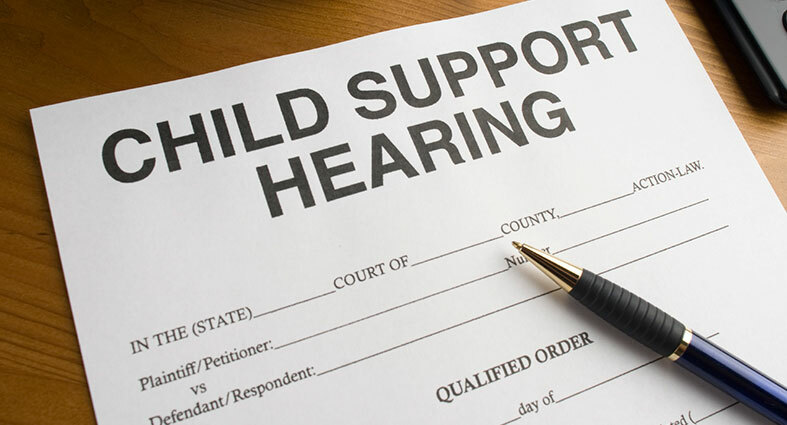 • The child support investigator is appointed by the prosecuting attorney to provide enhanced collection services for the child support program. • The investigator has full police powers and uses many methods to locate, arrest and take into custody individuals for whom warrants have been issued or who are otherwise in violation of child support laws. • The investigator also secures DNA samples for testing on individuals who are incarcerated or are unable to appear for DNA testing.